London pubs are a great example of that very British institution: the public house (or, pub, for short). What Makes London Pubs Great? Most countries have their watering holes, bars and the like, but none are quite like the traditional English pub. Part bar, part home from home and part communal meeting place, they are a must do on any trip to the UK. Part of their charm is their conviviality. A good pub is likely to have the atmosphere like the social club or even a gathering in someone’s house, than the more drinking den feel of most liquor serving places. The other part is the large range of ales they have on offer. You can get most types of American style beer (or lager as it is called here) but for the real pub experience try the ‘real ale’ (usually also called ‘bitter’). This has less gas than normal beer – it is not artificially carbonated – is darker and is served properly at just below room temperature rather than cold. It is served directly from hand pumps on the bar and is delicious (although it is an acquired taste perhaps). And you can get yourself a ‘normal’ beer if you don’t like it. In recent years pubs have also got their act together with food and so you can now make an evening of a visit. London has many of the best city centered pubs (although other cities such as Manchester, Bristol and York may beg to differ). Here we present 14 great examples near the normal tourist hideouts – make sure you visit at least one on your next England trip. 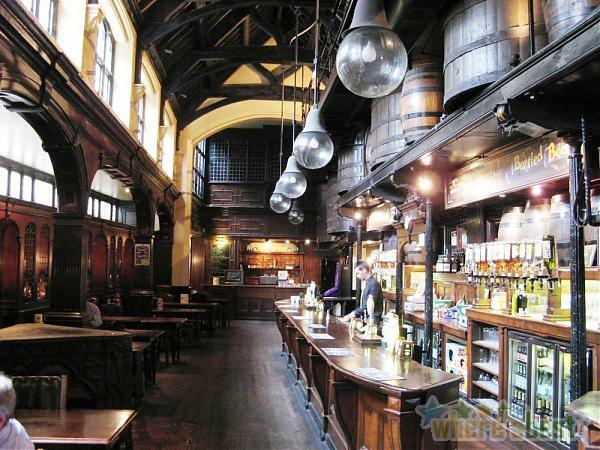 Located in the Hammersmith district of West London this classic pub dates from 1722. It has a fantastic view from its terrace right next to the river and is a traditional vantage point for the Oxford and Cambridge Boat Race held every April. Hammersmith is a transportation hub, so access is easy via the Underground or by bus. Featuring Harvey’s traditional cask ales, this restored Victorian corner pub is the classic ‘local’ pub. Located in Southwark, in central London. A Twickenham Tusk Pale Ale will pair nicely with the fried squid appetizer at this riverside pub. Once known more as a drinking establishment, new owners have perked up the menu offerings and The White Swan is gaining a reputation as a foodie’s favorite. Located by the river in Twickenham. This traditional ale house located in Welling also features a rotating selection of local ales. Make your selection from the day’s list on the chalkboard and enjoy an ale in this nicely appointed place with a genuine pub feel. Famous for being saved from demolition by the poet John Betjeman, this city watering hole was built in 1875. It, and the surrounding area, are named after the Dominican order of monks, nicknamed Blackfriars due to their black cloaks, who had a monastery on the site in medieval times. This is an early 19th-century pub in a charming mews street with an unusual split-level interior. Much of the fittings are said to be imported but the pub retains an olde worlde feel. The Cittie of Yorke is a grade II listed public house on London’s High Holborn, and is listed in CAMRA’s National Inventory of Historic Pub Interiors. The pub is owned and operated by Samuel Smith’s Old Brewery from Tadcaster near York. 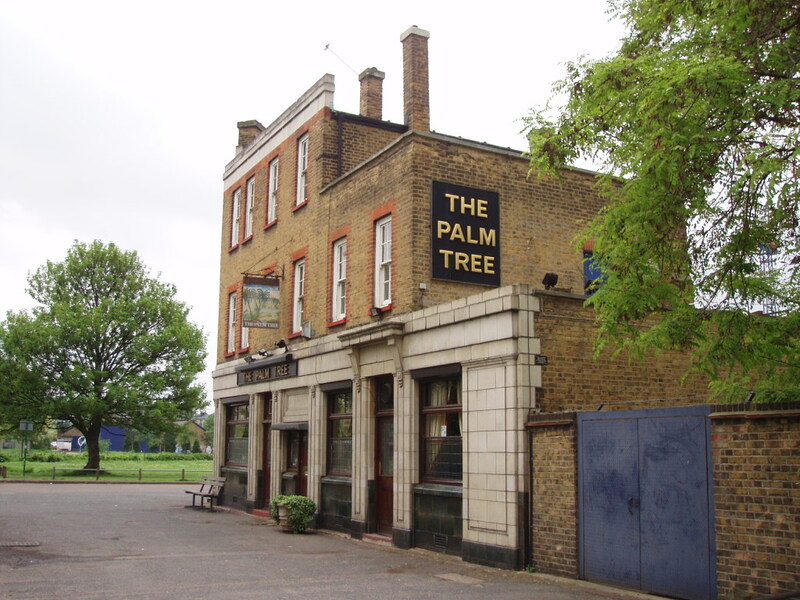 Despite its exotic name, this is a traditional East End ‘boozer’. It’s a great example of how the local pub is a focal point of the community in a way bars are not in other countries. 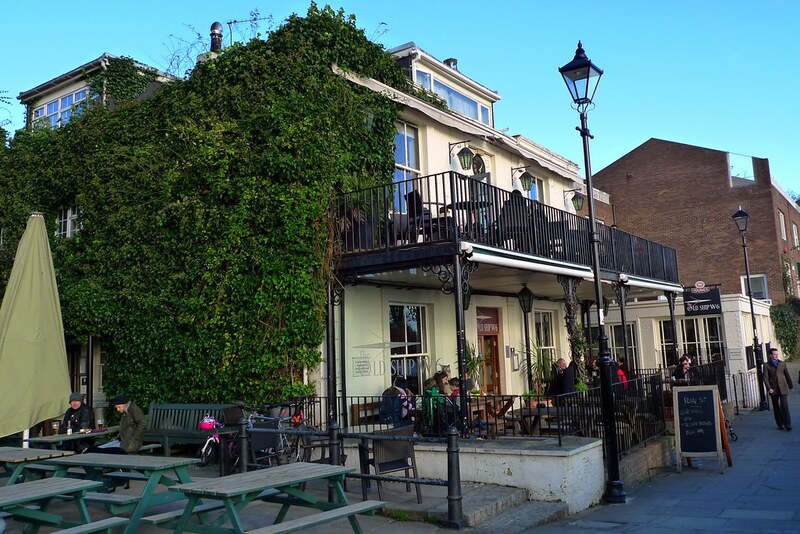 This Fulham ale house is nicknamed the ‘Sloaney Pony’ given its posh West London location. But don’t let that put you off. This is a great place to have a well made hearty meal washed down with a pint of locally brewed London Pride ale. A great pub with a great view of the river from its back terrace. One of the oldest pubs in London – it dates from 1620 – it is close to the mooring point of the Mayflower ship which set off from here in the same year.